The City of Overbrook, Kansas staff strive to keep you updated on all matters related to your community. If you do not find the information you need, please contact our office and we will gladly assist you! Subscribe today and receive up to the minute News and important Alerts delivered straight to your inbox. City Wide Branch Pickup to be held on Saturday April 20th. Put branch piles in manageable lengths at your curb by 9am. Volunteers will meet at Kansas State Bank parking lot at 9:00am. On Friday, April 12, 2019, at the League of Kansas Municipalities Leadership Summit and Mayors Conference, Overbrook Mayor Jon Brady was named the Kansas Mayors Association 2019 Mayor of the Year! 11:15 AM Update The installation has been completed and service has been restored. If you have any questions, please call City Hall 665-7328. Thank you! Looking for a way to help out around the community? 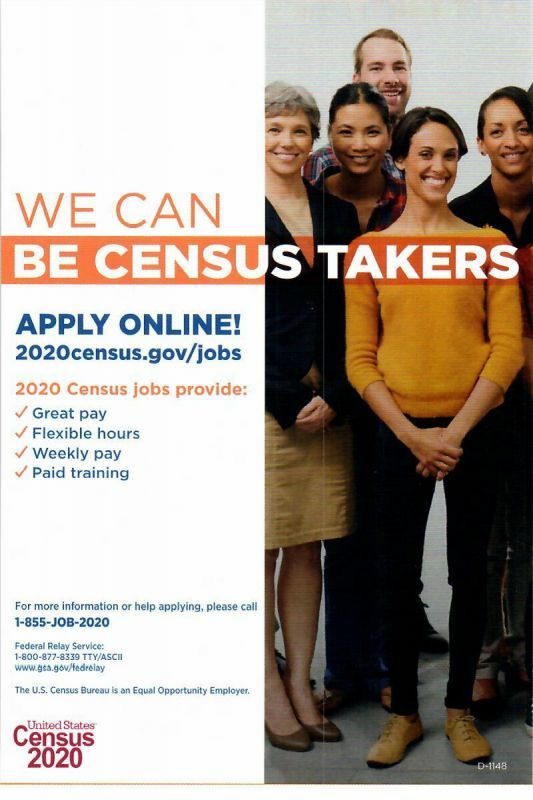 Become a 2020 Census Taker! For more information, see flyer below. Click for more information. The deadline has been extended until April 1st. You can access the signup form here. Article by Jacob Machnov, Paul Schmidt with Leah Sewell. If you would like to view the Overbrook, KS City Code, click here.